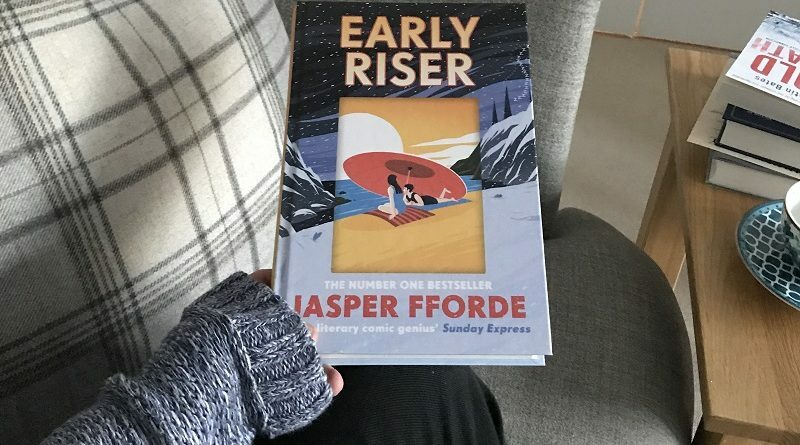 A My Chronicle Book Box review: Early Riser by Jasper Fforde. This is a new standalone novel by bestselling author Jasper Fforde set in an alternate world in which humans hibernate over winter to survive. This book was included in our November 2018 scifi & fantasy book box. I'm a big fan of Jasper Fforde's bestselling Thursday Next series and I saw this new standalone novel as the perfect opportunity to introduce subscribers who had not yet discovered Jasper, to his work. As with all Jasper's books, it is brilliantly inventive and funny but this is a proper thriller. In this alternate universe the majority of the population hibernates through winter with a small contingent of guardians (the Winter Consul) remaining awake to keep an eye on the sleepers. The book is written from the point of view of Charles Worthing, the newest volunteer to the Winter Consul, who it falls to to investigate an outbreak of viral dreams. The situation escalates when the dreams appear to start killing people and then becomes personal as Charles himself starts to experience the dreams. This is a real page turner; the plot is intricate and twisty, and it is not clear who are the good guys and bad guys are right to the end. During those bitterly cold four months, the nation is a snow-draped landscape of desolate loneliness and devoid of human activity.